If antiquing or picking is on your list of things to do while you’re in Bend, then Iron Horse is likely on your list of places to visit. Tucked in a residential neighborhood just a few blocks from Mirror Pond and downtown Bend, Iron Horse has an ever-changing, eclectic mix of antiques, collectibles, furniture, iron décor, and more that has people coming back again and again. 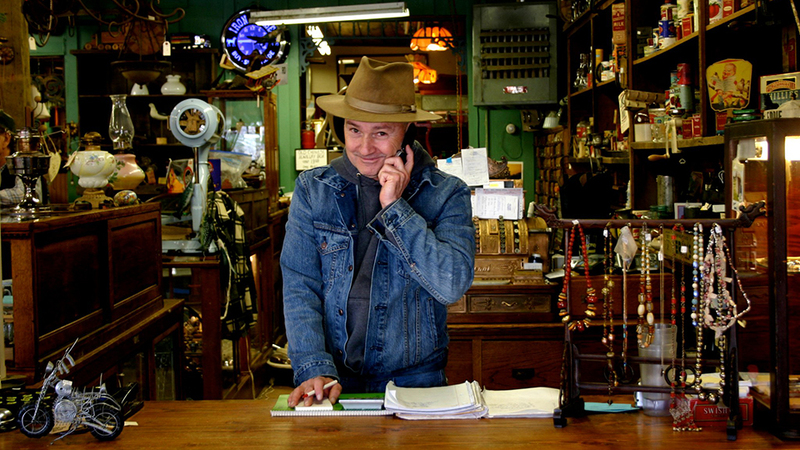 Proprietor Eddie Swisher (known locally as Fast Eddie) has an eye for the unique, the interesting, the diamond in the rough, and stocks his store with all of the above, and more. Iron Horse has made itself at home in a converted house and every room reveals an assortment of treasures. In one you might find antique hinges, tools, and fixtures, while another is filled with vintage glass, linens, dolls, canning jars, and framed art. The store also carries a good selection of vintage boots, leather jackets, and work shirts from makers like Woolrich and Pendleton. Be sure to head to the back of the store, where you will discover iron garden art, fencing segments, decorative gates, vintage fruit crates, and old garden tools. Iron Horse is open 10:30 a.m.-5:30 p.m. Tuesday through Saturday, and Eddie is happy to help you load larger items into your car.